This is your last chance to make the most out of this Paytm mall Monsoon sale. The sale is about to end in a few hours and we have found some of the best in-the-ear and on-the-ear headphone deals from brands like boAt, Skullcandy and more. Paytm Mall's Monsoon Sale will end tonight and if you’re still not sure where to begin, then we have found some deals that will help you get started. We have picked some of the best headphone deals during sale. The list consists of both wireless and wired headphones from popular manufacturers like boAt, Skullcandy and more. 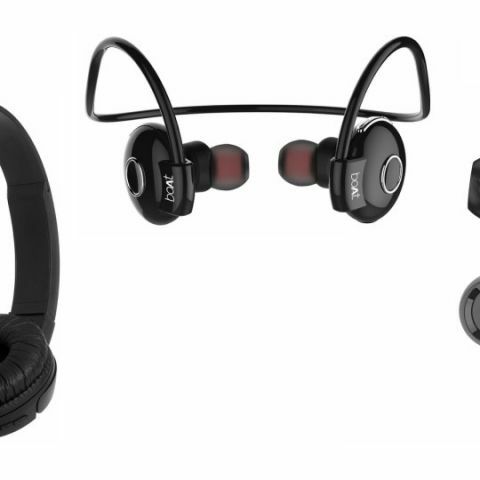 The JBL T450BT is a wireless on-ear headphone, which features Bluetooth 4.0 connectivity. The control buttons are placed on the ear cup to manage volume and calls. As per the company, it can provide 11 hours of music playback in one go. Click here to buy. The UBON BT-5600 on-ear headphones comes with a built-in FM, in which you can store more than 50 channel presets. It also consists of a TF card slot that lets you insert a microSD to listen to music. Other than wireless streaming, users can also plug in AUX cable when they run out of battery. The company claims that the headphones can provide up to six hours of music streaming. Click here to buy. The boAT Rockerz 210 is a wireless water and sweat proof in-ear headphone, which comes with Bluetooth 4.1. The earphones can be paired to two smartphones at once and as per the company, it can deliver eight hours of audio playback. Click here to buy. The boAt Rockerz 390 is an on-ear Bluetooth headphone that weighs around 200g. As per the company, the battery can deliver eight hours of playback with 90 minutes of charging. It is also equipped with control buttons to manage audio tracks and calls. Click here to buy. The JBL E25 BT in-ear headphone comes with a neck-clip that keeps the headphones in place when they are not in use. It also features three-button inline remote that lets you manage volume and audio tracks easily. According to the company, the battery can provide eight hours of music playback on a single charge. Click here to buy. The 1More Piston Fit in-ear wired headphones that weigh around 25g and come with three sets of ear tips. The earphone has an impedance of 32 ohms and a frequency range between 20Hz-20KHz. Click here to buy. The Skullcandy S2DUDZ-003 is an in-ear wired headset, which is compatible with smartphones, tablets, laptops and more. The headphones weigh around 100g and has an impedance of 16 ohms. Click here to buy. The Sony MDR-EX15AP is a wired in-ear headphone which features an in-line microphone and remote to control volume and calls. The Sony Smart key app also allows users to customize controls as per their preference. The headphone is available in five colors such as pink, blue, red and more. Click here to buy.